Say hello to Travon T. Jackson, Troy High School Class of 2011, and Morehouse College Class of 2015. Travon recently joined the Sponsor-A-Scholar board, and is also involved with several other local non-profit organizations. Justin was Travon’s mentor throughout high school and college. He first heard about the program through a law school friend who was also mentoring a student in Troy. Travon, How did Sponsor-A-Scholar help you in high school? Sponsor-A-Scholar paid for my PSAT. If I hadn’t taken the PSAT, I never would have been selected for the National Merit Scholarship, which was a big help to me in paying for college. Sponsor-A-Scholar also provided my graphing calculator, SAT prep and college visits, which I couldn’t have afforded otherwise. The college visits helped me to gain perspective about what college campuses were really like. And most importantly, Sponsor-A-Scholar connected me to my mentor, Justin. Justin, did you have a mentor in high school/college or as you started your career? How did you find out about Sponsor-A-Scholar? Nothing formal. But I was fortunate to have had a lot of support growing up, and didn’t lack guidance. In law school, I had professors who did the work that I wanted to do, so it was natural for me to try to emulate them. One of my friends from law school, Olivia Karis-Nix, became a mentor before me, and she encouraged me to join, so I did. I was a recent law school graduate, and I had some time on my hands, and she wouldn’t take no for an answer. Travon, how did having a mentor (either in Sponsor-A-Scholar or elsewhere) help you in college and beyond? While I knew what I wanted from a young age, I didn’t always know how to get there. Justin helped me to navigate systems and overcome, rather than having to bash through unguided. Justin took the time to listen, he knew where I needed to be, and he helped me be more patient with myself. Over time, our mentoring relationship evolved into a friendship. One of the most important things that I learned from Justin was to just be myself and be genuine. Justin connected with me where I was--and understood what I needed. When I was in high school, he would play basketball with me and my friends. As time passed, we went on road trips to visit colleges--I remember one time we were driving to Pennsylvania, and he busted out some really great music that surprised me and my other friends in the car. They still remember that about him! Later, when I was in college, he sent me care packages, which were really helpful. Since I graduated from college in 2015, Justin has been a great friend to me. He’s helped me to stay focused, and has good advice about managing money, relationships, getting an apartment, and other life choices. He’s always been there for me when I needed him. Travon, what’s the most important advice that Justin has shared with you? Don’t feel like your success and accomplishments force you to bear the entire weight of your family. Because of my background, that was hard for me. Justin made me realize that I shouldn’t sacrifice myself for the sake of a short-term gain. He helped me see that I need to be comfortable taking care of myself first. Then I can help others. Justin, what have you learned from Travon? I’ve learned to be more adventurous. Travon reminds me that sometimes to be successful you have to take chances and be willing to go out on a limb to get what you want. Travon, what was it like being the first person in your family to earn a college degree? It was exciting and strenuous. Many of my college experiences were unfamiliar and my family was unable to offer direct examples to guide me. This made every experience feel brand new, and allowed my family to experience college with me. 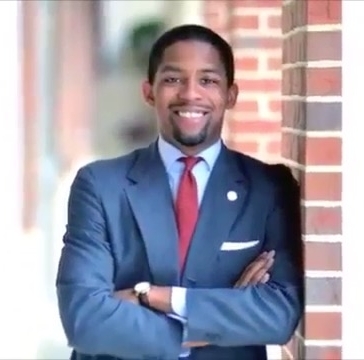 As a result, my family and I grew much closer during my time at Morehouse College. The experience was also strenuous, however, because I took on the responsibility of setting an example for my younger sister. My family never sought to impose pressure, but they encouraged me to achieve beyond what they were able to accomplish themselves. To me, that required being hard on myself and pushing beyond what was familiar. Travon, how did you decide to pursue a career in finance? I decided to pursue finance because of my experience in the non-profit sector. During high school I worked and volunteered for numerous non-profit organizations. One particular agency was focused on advocating for educational opportunities in New York State. I was tasked with organizing outreach opportunities to raise awareness on potential education budget cuts. During this work, the former mayor of New York City, Michael Bloomberg, reached out to private businesses to fund the budget gap for education programs for one year while the state legislature addressed the budget. This showed me that individuals with financial expertise and the right connections can have an immediate impact on the issues I care about. By honing my finance skills and maintaining my charitable concerns, I could help direct capital to the causes that I value most. Justin: what would you say to someone who is considering becoming a mentor? Just do it. Most kids don’t need a ton of help--they just need a little time. Don’t be too quick to impose your idea of how things should be on your mentee. For me personally, it helped me gain a friend. We wouldn’t have known each other if not for Sponsor-A-Scholar. It changed both of our lives in the best way. What’s the one personal characteristic that you think makes a successful mentor? Justin: Patience--patience to listen to your mentee and what their goals are. Pragmatism--helping to keep focused. Travon: Justin is very resolute, which is good. Whatever the situation--he always had a level head. He could always help calm me down and deal with challenges, even when I was feeling anxious. Travon, how has your mentoring relationship with Justin evolved over time? I would say that being in Justin’s wedding was a turning point in our relationship. It was when I realized that he was welcoming me into his life in a different way. I wasn’t just some kid he was helping anymore we were real friends. Justin’s wedding was an unforgettable time--for all sorts of reasons. First, logistically it was challenging because it was finals week for me at Morehouse, so coordinating my travel so I didn’t miss any of my tests was tough. Then, just being a part of this special day of his life, was really emotional. Finally, I had to figure out how to get from New York back to Atlanta--and Justin was helping me get my bus ticket at 3am on his wedding night. Justin, what would you say was an unforgettable moment in your mentoring relationship? Watching him graduate at Morehouse College. It was a big day, partly because it’s a Historically Black College, and there were certain traditions that were really eye-opening to me that I never knew about, and partly because he had completed this big milestone and I was really proud of him. Travon, what does Sponsor-A-Scholar mean to you now that you have your college degree? As a board member and an alum, I know I am an example to other students. I was blessed with certain abilities, and Sponsor-A-Scholar helped me to take advantage of my talents in ways that got me where I am today. Most importantly, I thank Sponsor-A-Scholar for bringing Justin into my life. I can’t count the number of times he was there for me when it really mattered. Travon, if you could say one thing to your Sponsor, what would it be? I’ve been lucky enough to know my sponsors, Chet and Karen Opalka over the years. I appreciate that they made time to get to know me. I am so grateful that they made the financial investment and an investment of time in me and in the program as a whole. And of course, I would say thank you. Special thanks to both of you, what an inspiring story!